Antiretroviral therapy has greatly extended the lifespan of people living with human immunodeficiency virus (PLHIV). As a result, the long-term effects of HIV infection, in particular those originating in the central nervous system (CNS), such as HIV associated depression, have gained importance. Animal models for HIV infection have proved very useful for understanding the disease and developing treatment strategies. However, HIV associated depression remains poorly understood and so far there is neither a fully satisfactory animal model, nor a pathophysiologically guided treatment for this condition. 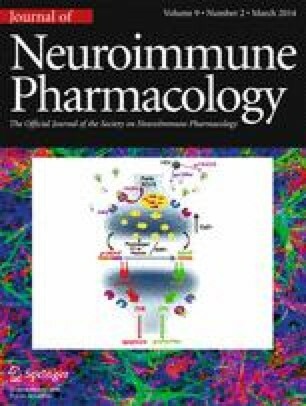 Here we review the neuroimmunological, neuroendocrine, neurotoxic and neurodegenerative basis for HIV depression and discuss strategies for employing HIV animal models, in particular humanized mice which are susceptible to HIV infection, for the study of HIV depression. ECK and EBZ thank the Ciencias Sem Fronteiras (Science Without Borders) program of the Brazilian governmental agency, Coordenação de Aperfeiçoamento de Pessoal de Nível Superior (CAPES), for its support.